Published in 2004, the Book of Quantum has been the subject of criticism. 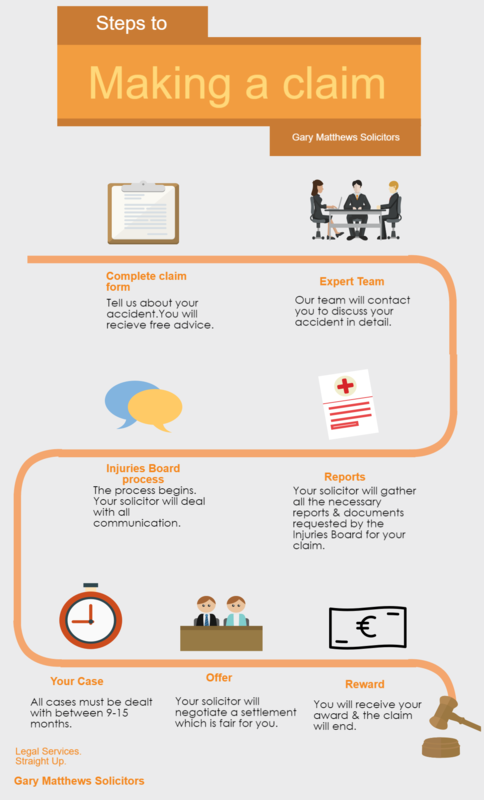 In order to make a Personal Injury Claim in Ireland you have to make an application to the Injuries Board to assess your case which Gary Matthews Solicitors will do on your behalf. The Book of Quantum is a general guide as to the amounts that may be awarded for personal injury claims. It provides a guide in respect of specified types of injuries, depending on their severity and the length of time they take to heal. Legislation required the Injuries Board to have regard for the Book of Quantum when accessing claim values. This is not a rigid format, the awards given in regards to a personal injury will always be assessed on an individual basis. The Book of Quantum was published in June 2004, and was updated in 2016. Over 45% of PIAB assessments are rejected. As per the 2016 PIAB Report, 45.5% of applicants rejected the PIAB assessment and proceeded to other methods of settlement. Contact Gary Matthews Solicitors to ensure you are awarded fair and reasonable compensation. As previously explained The Book of Quantum is a guide for personal injury claims, which was published in 2004 due to legislation it must be referred to when awarding compensation so that amounts are not ‘made up’ as was historically the case in courts. The Book of Quantum acts as a benchmark for awards, but does not fully determine how much you will receive. The severity of the injury is considered, how it will affect your life now and in the long term for example: Categories include: ‘substantially recovered’, ‘significant ongoing’, ‘serious and permanent conditions’ and discuss if you are able to continue daily activities with little interference, or if your injuries are having permanent effect on how your daily lifestyle. 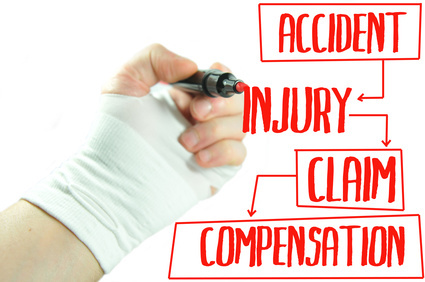 The book discusses multiple injuries – if your claim includes this they will not simply add up all the figures but will look at the most significant injury and determine a value range for your claim. It is important to note when you receive an assessment you will not be given an explanation as to how your award was calculated, therefore you would not need to read the Book of Quantum in great detail. By appointing Gary Matthews Solicitors who have over 20 years experience dealing with personal injury claims you can be assured we will get you an award that reflects the injury you have suffered. Are Judge’s ruled by the Book of Quantum? Section 22 of the Civil Liability and Courts Act, 2004 states that when a court is assessing damages in a personal injuries action the judge must have regard to the Book of Quantum. However, it does continue to say that a court will not be prohibited from having regard to matters ‘other than the Book of Quantum’ when assessing damages in a personal injuries action. So the answer is, kind of but not really – your award will be assessed based on your individual case but the book will be a guide. Several Judges have expressed their skepticism for the Book of Quantum, citing that although ‘informative’ it does have flaws. Barton J in McGarry v McGarry & ors  IEHC 426 also went on to strongly criticise the fact that the Book of Quantum in relation to personal injuries had not been kept updated to reflect awards of the courts in line with assurances given by the Government at the time of its introduction. Barton J noted that, in assessing general damages, the court is concerned with and required by law to make an award which is fair and reasonable and founded on the evidence. He further noted that the purpose of compensatory damages is intended to restore the plaintiff to the position they were in before the accident, so far as that is possible, by an award of money. The range for the plaintiff’s injury in the Book of Quantum was the range of damages applicable to an amputation of the big toe namely €31,800 to €49,900. However, it was submitted on behalf of the plaintiff that for all practical purposes the Book of Quantum was being ignored by the courts because it was so out of date and did not reflect what would now be fair compensation for injuries such as those suffered by the plaintiff. Barton J stated that it was regrettable and unacceptable that the Book had not been updated since it was first published in 2004 [subsequently updated in 2016] and commented that, where the court is required by law to refer to the Book of Quantum when assessing damages, it is unquestionably in the interests of the proper administration of justice that the Book be reviewed and be kept updated to properly reflect the awards of the courts. That said, the court was still left with the statutory requirement to refer to the Book when assessing damages in respect of any injuries where a range of damages is specified. Having referred to the Book of Quantum and having regard to the time elapsed since it was published and applying the principles of law to the assessment of general damages in respect of the plaintiff’s injuries, the court awarded a total sum of €75,000 for pain and suffering to date and into the future. The sum awarded represents an uplift of approximately 50% to 100% of the range specified in the Book of Quantum. Your solicitor will communicate with you during the entire process, whilst the Injuries Board is a ‘document only’ procedure. A Solicitor will help you clarify who is responsible and what you are rightfully entitled to claim for. There are strict Injuries Board guidelines, your solicitor has full legal knowledge of this whilst you may not. Whilst The Book of Quantum exists are a guide to awards and claims for personal injury it does have flaws that are recognised. Every case and award will be assessed individually. Judges have expressed that they think flaws exist. The book has 1 version published in 2004 and has not been updated since. Gary Matthews puts you, the client first. We will ensure you get the best outcome for your claim for what can be a stressful time. We are experts in personal injury claims.